Our Longest and most exclusive tour! 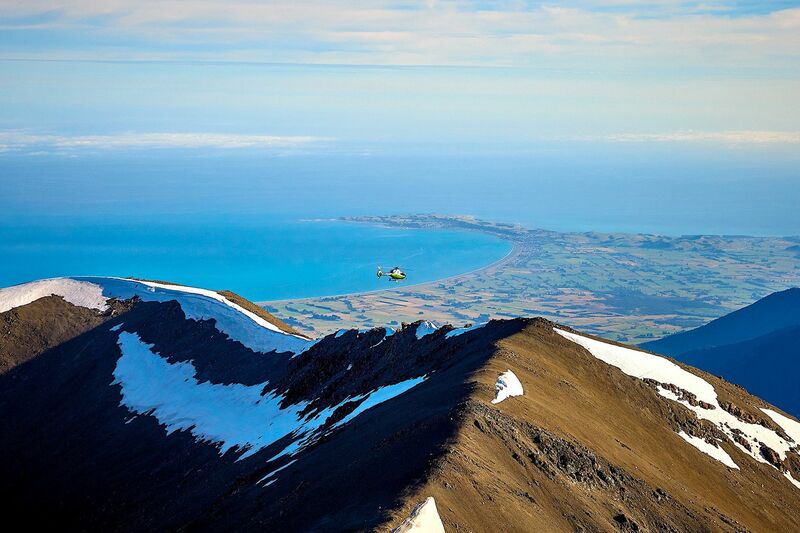 Our Ultimate Adventure is an incredible experience capturing everything Kaikoura, from mountains to ocea. This tour combines whales watching, Aftershock Adventure and includes two alpine landings. 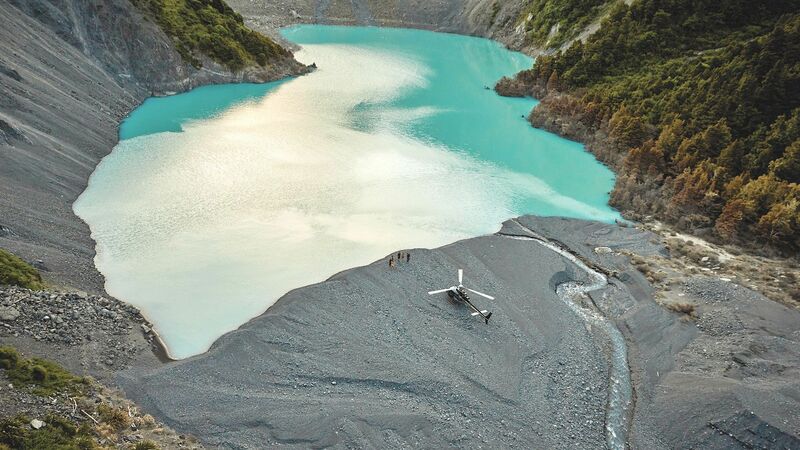 Kaikoura Ultimate Adventure is an incredible experience capturing the best of Kaikoura's magnificent vistas of coastal shores, picturesque landscapes, majestic mountain ranges, and diverse marine wildlife in a way only a helicopter can. 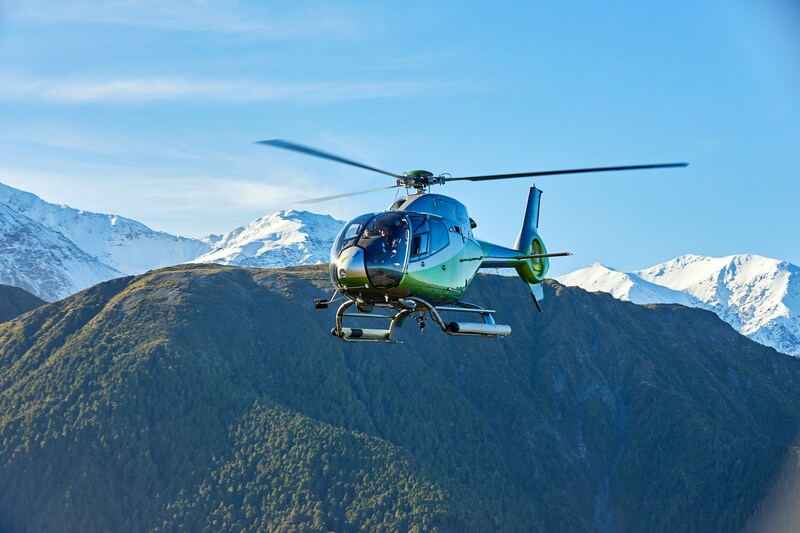 This tour begins by heading out over the Kaikoura Whale Sanctuary and Hikurangi Marine Reserve to view the incredible wildlife found in Kaikoura’s waters. Experience the magnificent sperm whale, which can be found here year-round. 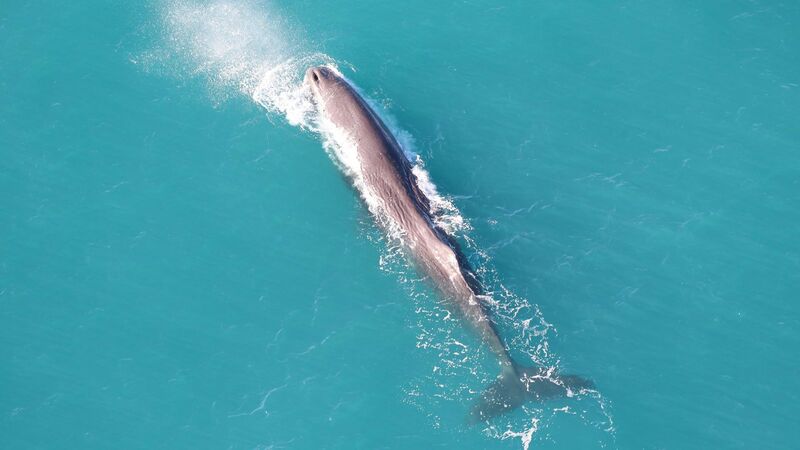 Kaikoura is also a migratory route for a variety of different whale and dolphin species such as the humpback whale, blue whale, southern right whale, killer whale, and more. 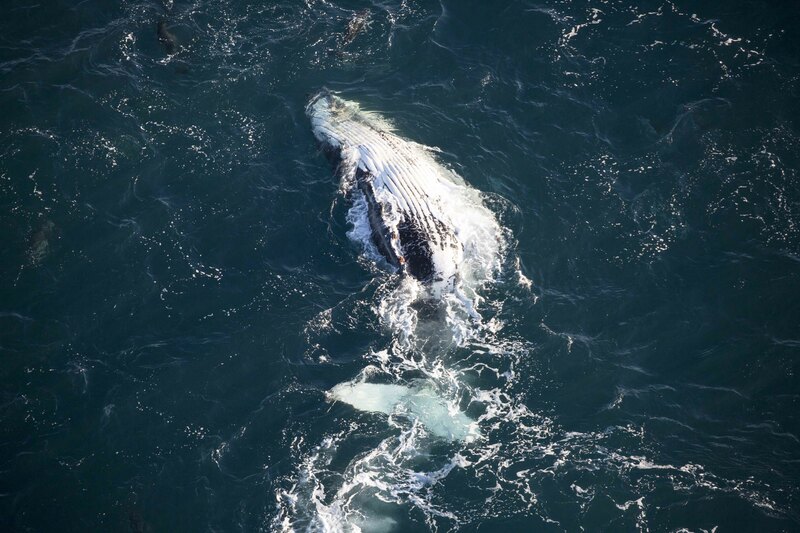 Your position from the comfort of the helicopter allows for incredible viewing and photography opportunities where you can see the entire whale, and also witness some amazing behaviours of the animals you wouldn’t see any other way. You can also spot the resident dusky dolphin and New Zealand fur seals playing off the shore. 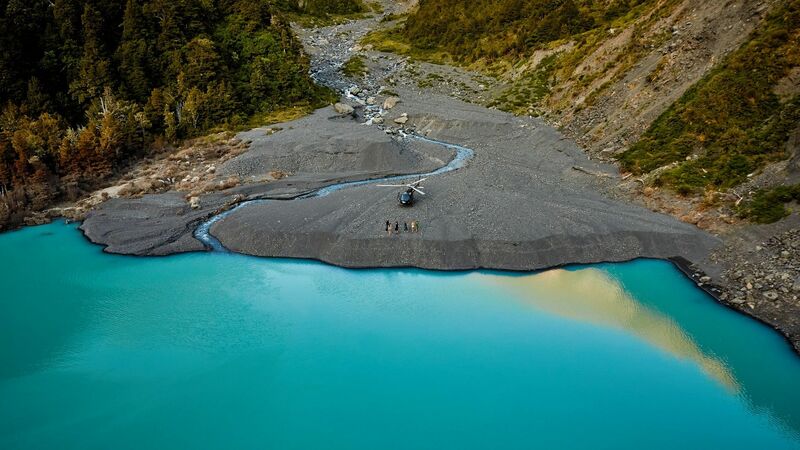 After viewing the abundant marine life, your trip takes you north along the rugged Kaikoura coastine. During this trip you can see the incredible changes from the 2016 earthquake that occurred in Kaikoura. The shoreline lifted up to 6 meters in places, entire mountains moved, and fault lines run out into the sea. All of this is seen with Kaikoura’s incredible backdrop mountains and oceans. 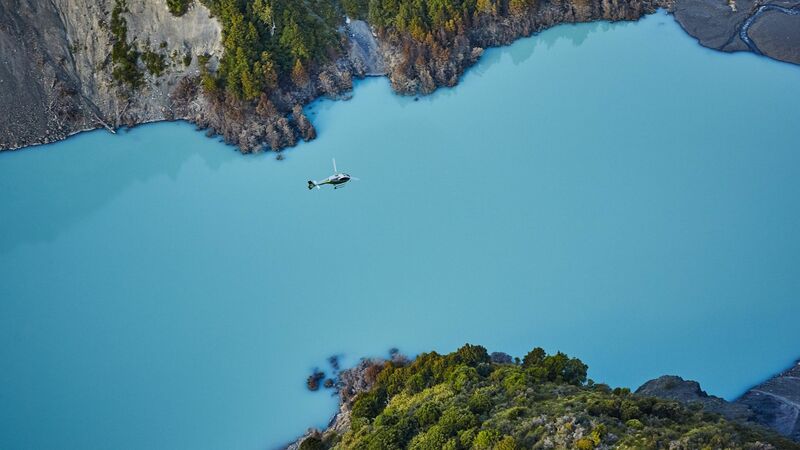 Head into the Seaward Kaikoura Mountains for a landing at the turquoise waters of Hapuku Lake, which was created during the earthquake, then fly to the tops of the peaks for a second landing overlooking the ranges, Kaikoura Peninsula, and the Pacific Ocean. This position offers 360 degree views of incredible scenery.